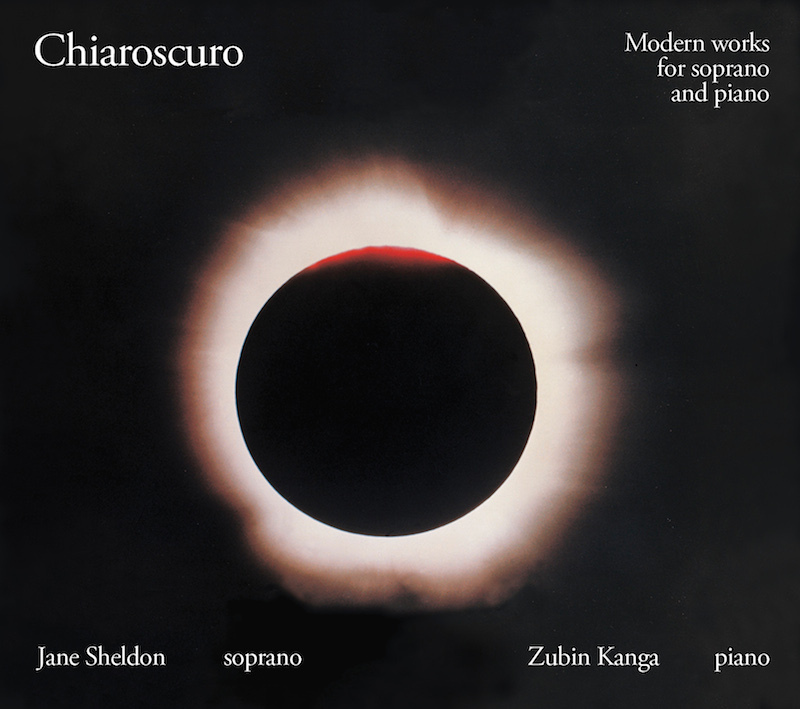 Phosphor Records announces the release of Chiaroscuro, the first duo album from Jane Sheldon and Zubin Kanga, two of Australia’s most exciting interpreters of contemporary classical music. “Within seconds an atmosphere of calm envelops the listener to the sublime performances on this album.” – Vincent Plush in the Australian. “Chiaroscuro is an album that takes art song into the future” – Shamistha de Soysa in SoundslikeSydney. The album features works by George Crumb, Kaija Saariaho, Arnold Schoenberg, and Australian composers Rosalind Page and Daniel Rojas, all exploring themes of love and death. It was recorded with a beautiful piano made in Australia by Stuart & Sons. Another great review of the CD, by Gordon Kerry, is here. The press release can be downloaded here. An article by Jane on the Limelight blog is here. Read Vincent Plush's review of Chiaroscuro in the Australian (4.5 stars - "sublime"). Chiaroscuro, featuring Jane Sheldon and Zubin Kanga, was launched at the Sydney Conservatorium of Music on August 22. "Chiaroscuro is an album that takes art song into the future" (SoundsLikeSydney). Nature was a finalist for Best Independent Classical Album at AIR's Carlton Dry Independent Music Awards, 2014. Congratulations to Gurrumul & the Sydney Symphony Orchestra, who won the award. Chiaroscuro, Nature, and North + South are all available on iTunes worldwide and on Amazon. Contact us by emailing PhosphorRecords at gmail.